The man opened fire after a disturbance involving a bar in Wrigleyville, police said. 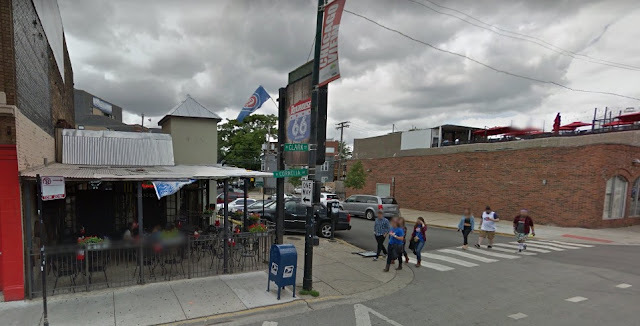 A 29-year-old Woodlawn man pulled out a gun and shot at least four times after having a disagreement with a Wrigleyville bar early Saturday, witnesses and police said. No one was injured. Cops on patrol reported hearing gunshots and seeing people running for cover near the Clark Street bar strip at 1:18 a.m.
At least four separate witnesses identified the detained man as the person who opened fire in the 1100 block of West Cornelia. According to multiple sources, the man had either been denied entry to or been removed from a bar on Clark Street . Police recovered four shell casings from the mouth of an alley west of Clark on Cornelia. It could not immediately be determined what (or who) the man was shooting at. CWBChicago is withholding the man’s name until charges are finalized. He is expected to appear in bond court on Sunday afternoon.